My mom would spend forever chopping the dried beef and then making tiny cheese balls to roll in the beef. I still remember the face she would make when my dad would come by and put an entire mini cheeseball on a cracker. All that labor and fussiness gone in a second. Ain’t nobody got time for that and, thanks to my food processor, I can spend 1/25938293th of the time for basically the same result in spread form. The hardest part of making this recipe will be finding the ingredients in the grocery store. You are going to need prepared horseradish and dried beef. My husband thought it was some cruel joke the first time he was sent to the store with these on the list. The horseradish will be in the refrigerated section near the pickles/chip dips. The dried beef will be by the spam and canned tuna. I know both of these ingredients sound terrible. You just have to trust that these will come together into a spicy cream cheese. And then don’t tell anyone what is in them until after they’ve tried them because you’ll get some funny looks and nobody will be willing to try them. 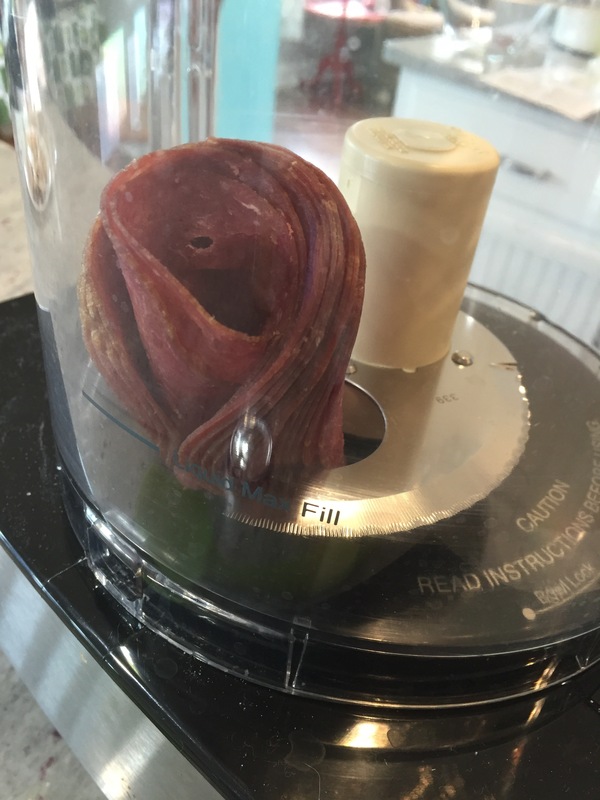 Bringing this recipe together couldn’t be simpler: put the dried beef in the food processor and pulse a few times until it is about 1/4 inch pieces. 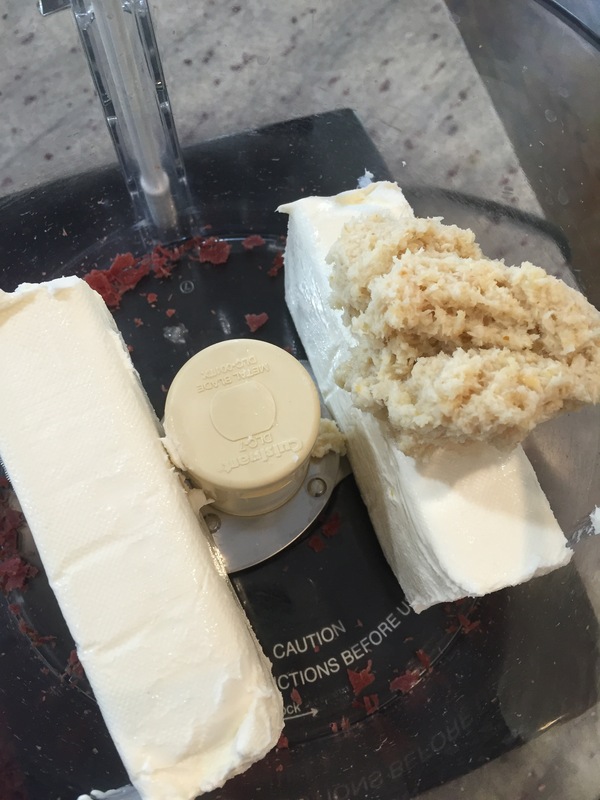 Remove the beef from the processor and add the cream cheese and horseradish. You’ll need to judge how much to use. Do you like horseradish/spicy food? I do so I use about 1/4 cup. Start with less and add to taste. Once you have a cheese flavor you like, add the beef back in and pulse to combine. 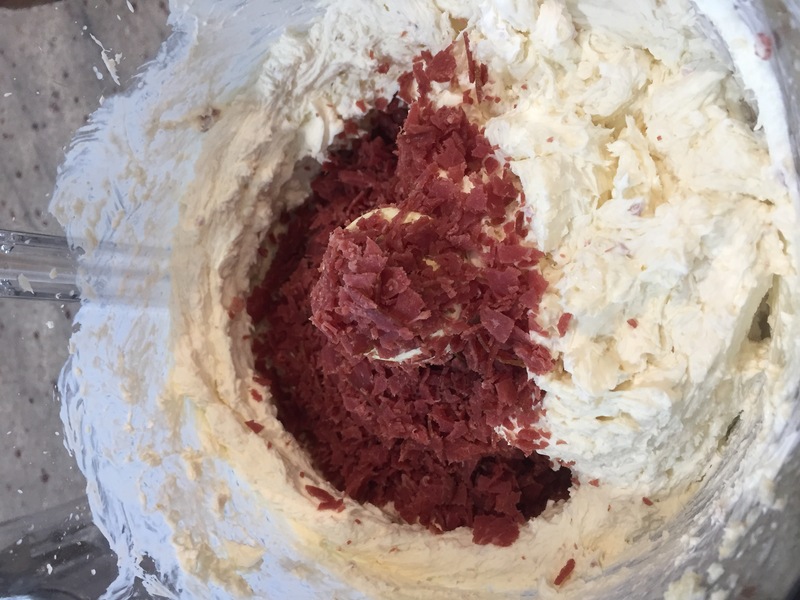 You still want decent sized flakes of the beef, so don’t blend until it is smooth. Serve on crackers, celery, bagels, anything you like! 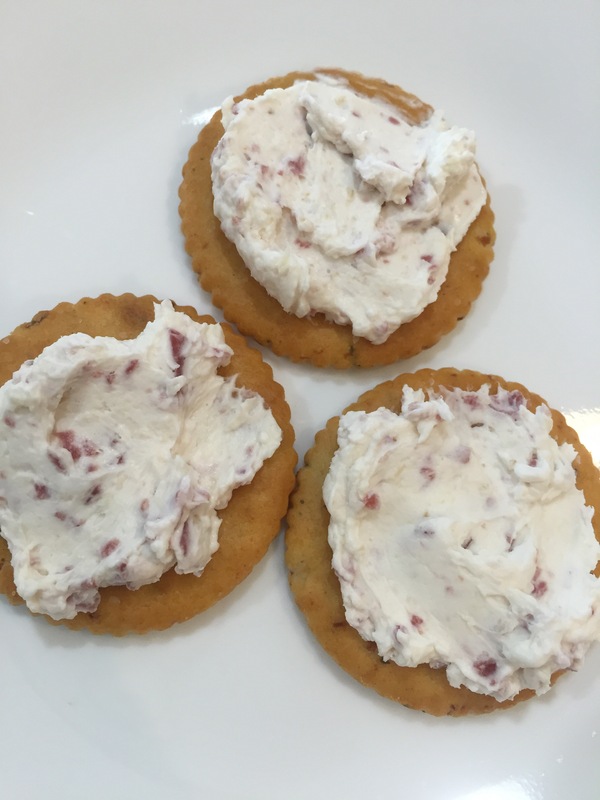 It’s spicy but cool from the cream cheese–like jalepeno cream cheese but…horseradishier. The dried beef brings a little flavor but mostly it adds a texture element. Pulse the dried beef in the processor to chop it up. Remove to a bowl. Holy cheese balls, I need this. 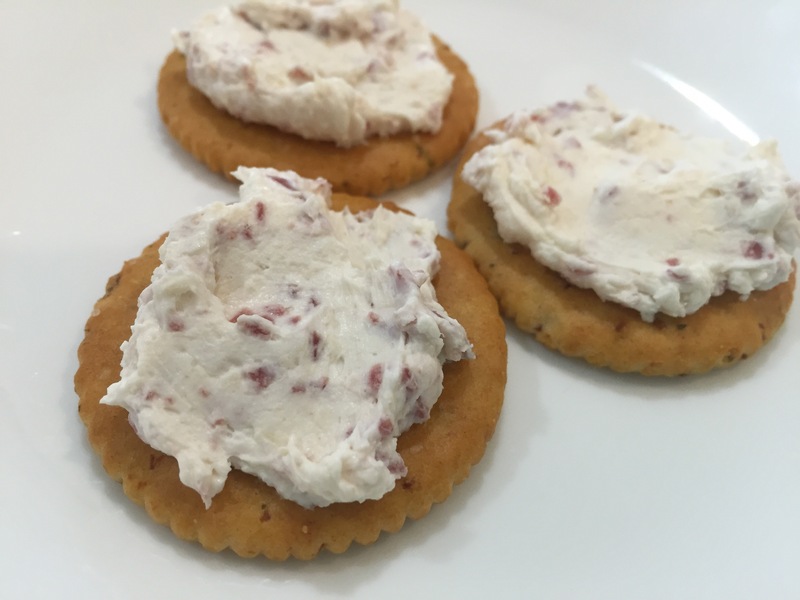 Cream cheese and horseradish are two of my most favorite things, and I was the weird kid who used to think dried beef was a wonder-snack. I’m SO making this the next time we have company over. Further proof we are almost the same person.